I have been riding motorcycles for over 5 years now. 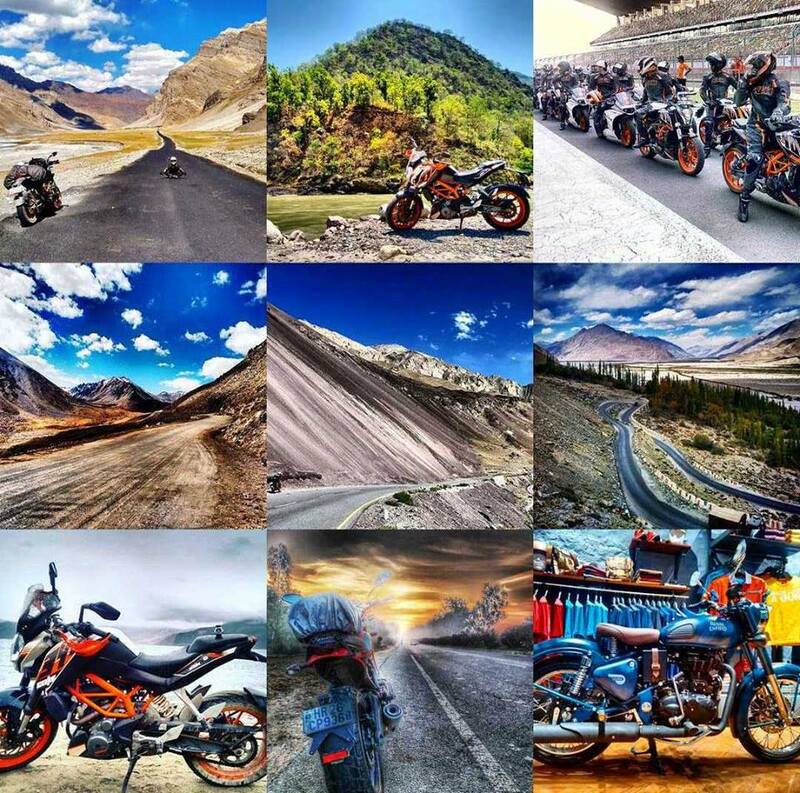 A total of 90,000+ km doesn't really entitle me to brag about my riding 'experience', as there are many veterans in this field with years of experience and lakhs of km that you can learn from. I consider this only as a humble attempt to contribute my part at this stage. I started riding with a CB Twister which was my first motorcycle. What a fine bike it was! Can't deny I miss riding it even today. I said goodbye to the company bus and started riding about 50kms every day to and from work. This made me realize the nuisances of daily traffic, fools of various kinds on road, basically the induction to being on road. Soon the riding bug had bitten me and I started going to short rides on this bike. Everything changed after that. And soon I started feeling short of power and throttle on the highways. It was time to upgrade. I had started saving to buy a Duke 200 initially. After a year and a half of saving money, Duke 390 launch was almost around the corner. I was expecting it to be around 2.7-2.8L which was out of my budget. But then the bike was launched at an on road price of Rs. 2.03L in Chennai and thankfully affordable. I saved for 4-5 months more and sold my CB Twister to make way for the 390. As I have emphasized earlier, investing in this bike was one of the best decisions I ever made. I also realized that the jump from 8.4bhp to 43bhp should not be taken lightly and yes, the same old saying: With great power comes great responsibility. The bike moved too quickly with a slight twist of the throttle and I won't deny that in those days if it wasn't for the ABS, on few occasions I would have banged on to some auto-rickshaw or another bike on the road. Wasn't long that I realized that the machine I was riding was to be respected and treated accordingly. Glad that the government is making ABS mandatory on all motorcycles in next 2-3 years I guess. He: Why are you taking the helmet? You are sitting behind no? He: Why do you need the helmet? There is no cop on the way and we just have to go 2kms ahead. Me: I know man, it’s not for the cops. We need to come out of this mindset of wearing a helmet only if there are cops on the way! I must have fallen down twice or thrice while riding, but have never been in a major accident or a minor crash where I have hurt myself. I fell once on my CB Twister because the truck approaching from front suddenly turned to my left without any indication. I braked hard (both the brakes), but the concrete and sand on the road didn't help much. I landed with palms and knees rubbing the road and head hitting the ground. Gloves saved my palms, no scratch. Helmet saved my head, I am still sane. But my jeans were torn at my knees and I got some bruises there. So you see, no external contact or impact, but I still I crashed only because that truck driver turned without giving a signal. Such is life! But I also realized my tyres were worn out. Who knows, if there was some grip left on the tyres, I wouldn't have fallen. Learnt a lesson and changed them immediately. 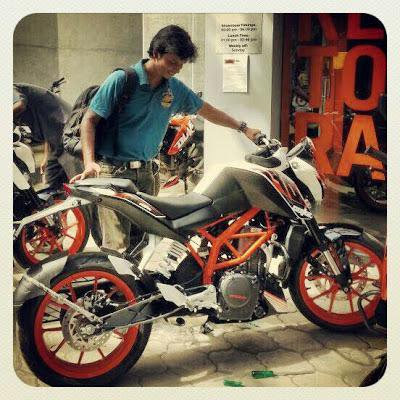 After that I make sure to check the tyres on the Duke at regular intervals and replace them if needed. After the travel bug bit me I went more and more into touring. Being in new places gave my mind a fresh start every time. You have to cover long distances on your saddle in days, but that doesn’t mean you have to kill yourself to reach the target distance. Over time, I have realized that riding (touring) is not about speed. I am amused when someone boasts about his x kms of distance covered in y hours, which is better than the average figure. It’s true that on the Duke, I am able to maintain a good average speed at which I am comfortable on the highway, and yet don't let things go out of control. I enjoy the ride. I might do better or worse depending on my own comfortable speed, but I am never in the race of saddle sore. Riding is to enjoy all kinds of experience that your motorcycle gives on the road, and there are many! And as I rode more and more on highways, I kept learning more and more about the behavior of all that's out there on the road. Truck drivers, you can’t mess with them, they own the road. Those Splendors and TVS XL HD riders who don’t bother once to look around while changing lanes, and move from one end to other as if going from their bedroom to bathroom. Also when on highways, replace the word ‘surprise’ in your dictionary with dogs, cows and goats. This post can be considered as an extension to my previous one on ‘How to Ride a Motorcycle Safely in India’. And if you have been following this blog on Twitter/Facebook, you must have seen frequent emphasis by me on awareness towards safety. It is another such attempt to add to the effort. Hope all you guys will share this and spread the word.